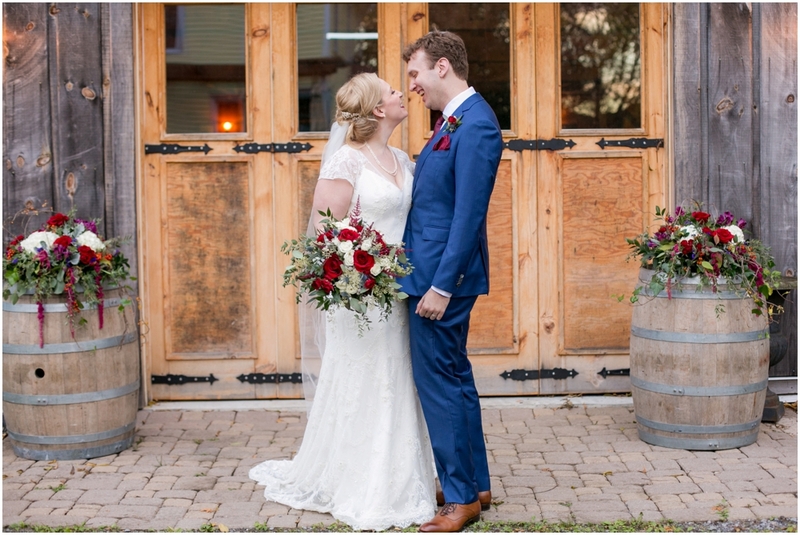 Kaitlin and Greg were married on October 20th, with a ceremony and reception at the Mill House in Prince Edward County. 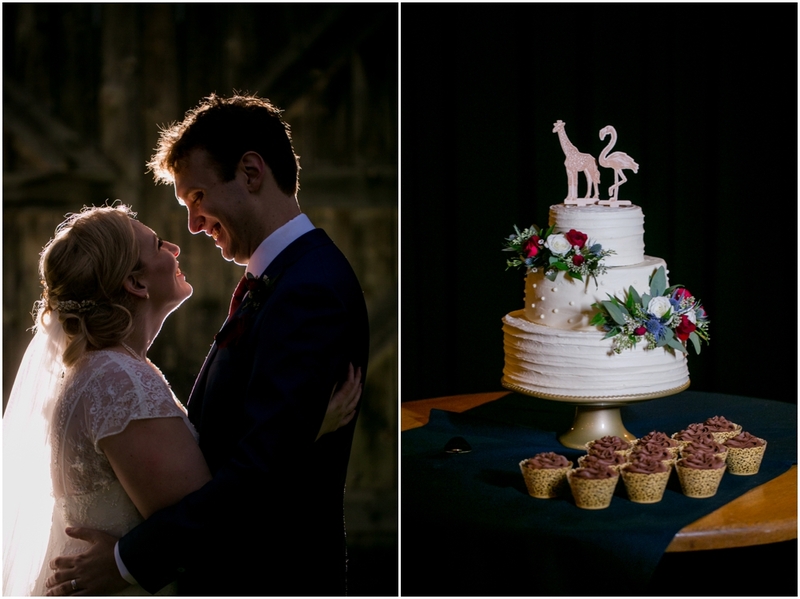 This wedding was so incredibly special because it all started years ago, and I’ve been so thrilled to see it all come to fruition! 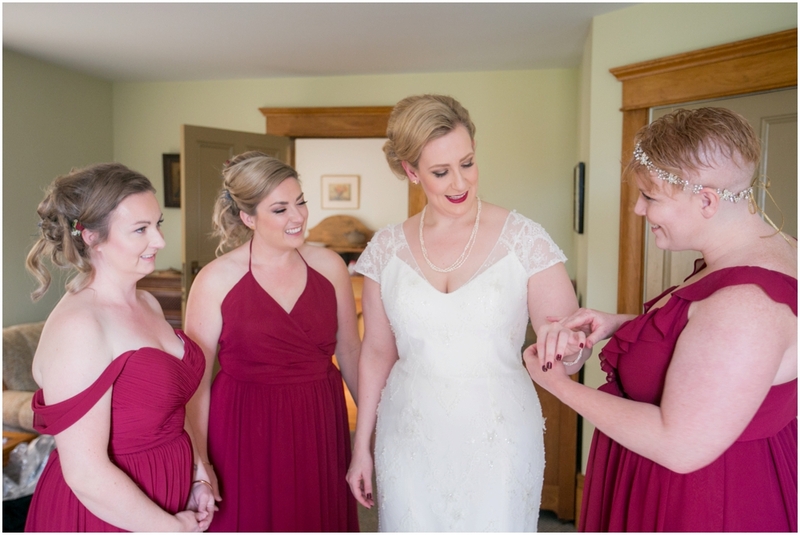 I met this wonderful crew of ladies 4 years ago when Laura, Kaitlin’s best friend, was getting married in Nova Scotia. That day, and that wedding will always hold a special place in my heart, as it allowed me to truly begin my wedding photography career. It gave me national and worldwide exposure as a wedding photographer. I am forever indebted to them all. So when Kaitlin contacted me to ask me to continue the story for her own wedding, I literally cried tears of joy. It means so much to follow a group of women over their lives and see their story develop. I love to see the way our lives overlap between Ontario and Nova Scotia time and time again. My favourite thing about this wedding was just how easy it was. How comfortable it all was. We had more fun together! You can see from the photos. I had a nonstop giggle-fest with all the bridesmaids (Lesley, Laura, Kyly, and Kaitlin amazing! 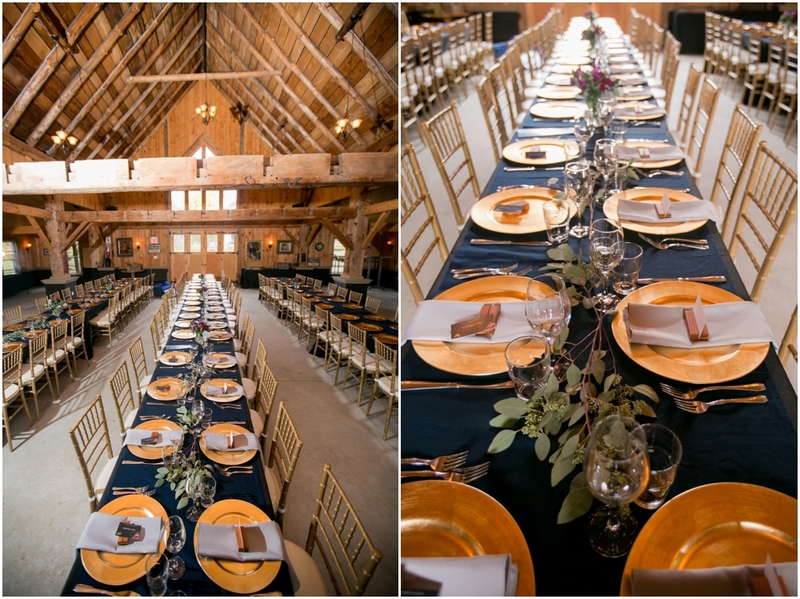 )—and then the whole wedding party got together for even more fun! Once the guys—Gordon, Jonathan, and Jamie—got involved, it was all-out adventure. 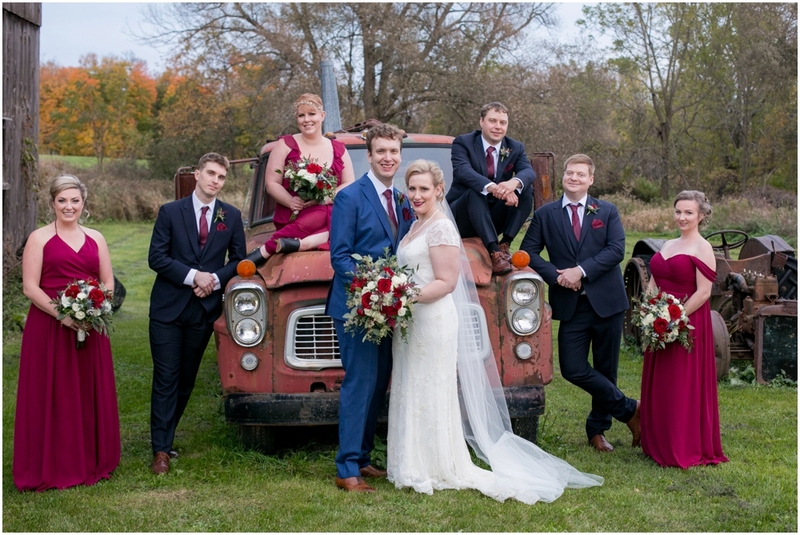 They even (enthusiastically) climbed on top of a vintage car for a good shot—a wedding photographer’s dream! You can tell Kaitlin and Greg were meant to be together just watching the ease with which they connect. They are clearly a team. Their love as well as their confidence made this day absolutely magical to be a part of. And, as the night continued, you could hear that all their friends felt the same way—with poignant speeches and loving tributes that had everyone emotional. 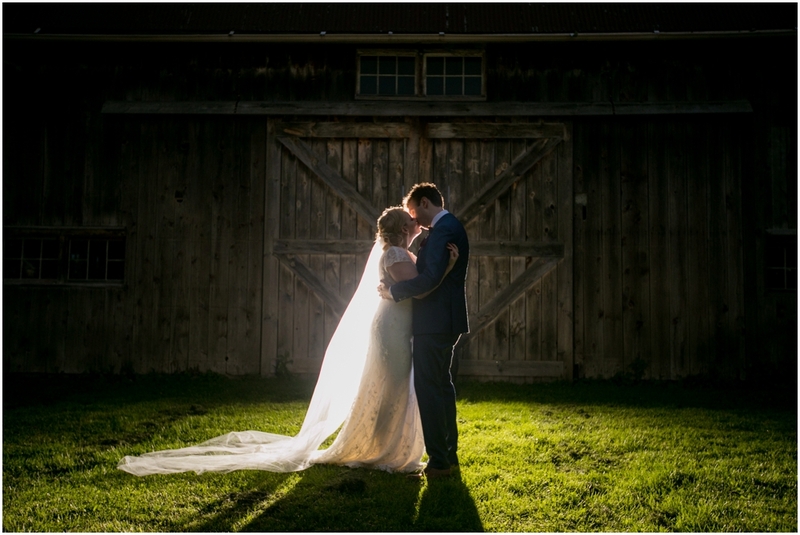 On top of the amazing people and heartfelt moments, we had the most picturesque fall day! 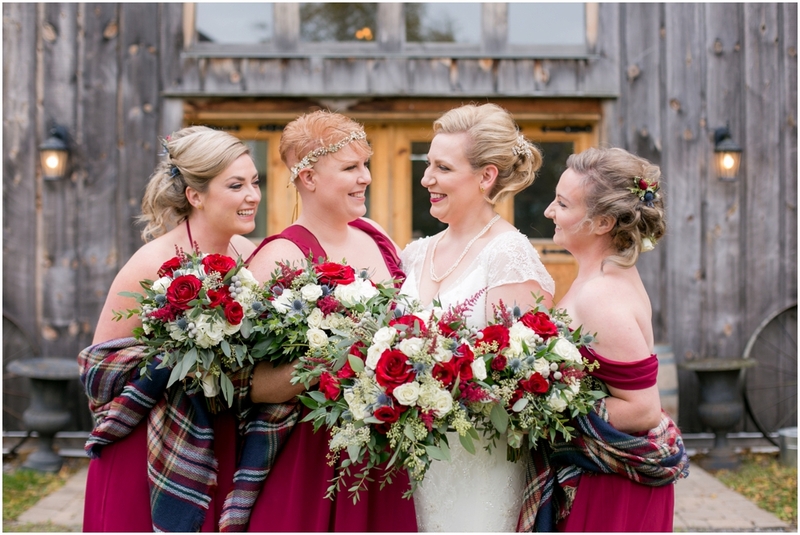 The Mill House was the perfect backdrop for this day of love, and I couldn’t have been happier to see that these gorgeous girls got such an epic background for their pictures! 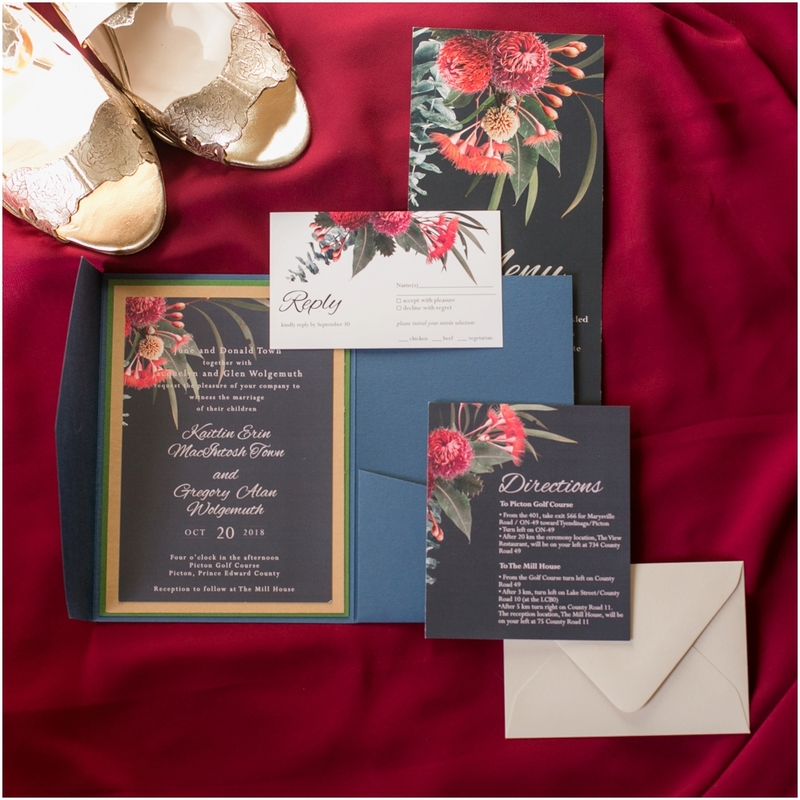 I also have to give Eph*ra Events mad love for the amazing planning and stationery. The flowers were gorgeous, and just look at THOSE SHOES! 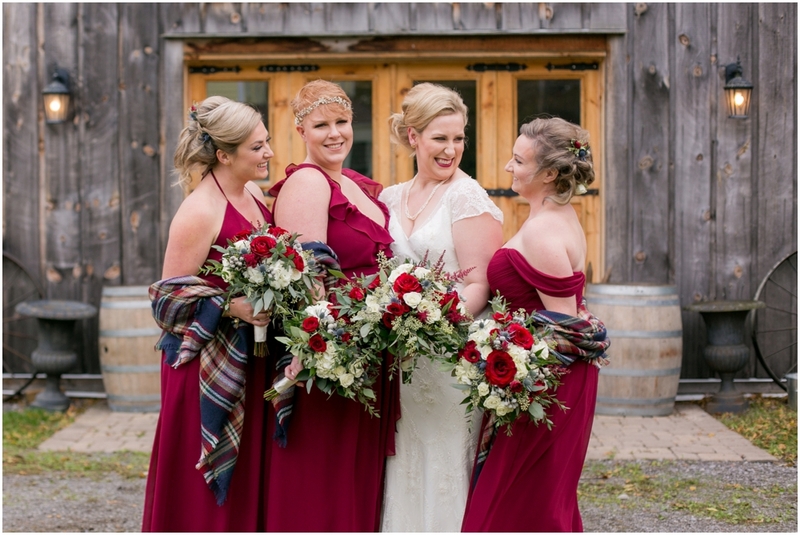 Also, how fab do those deep wine bridesmaid's dresses look? 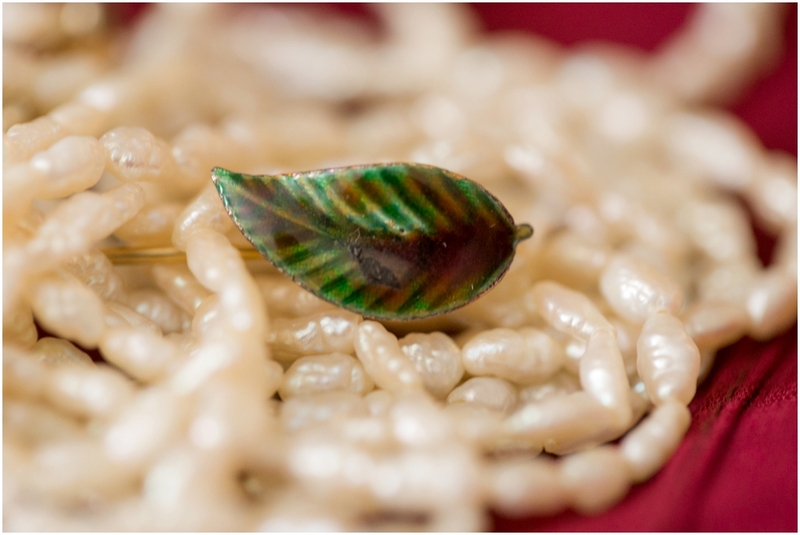 Everything about the design of the day was quintessentially autumn. Kaitlin & Greg, thank you for asking me to be your wedding photographer and for letting me continue to be part of your story! It was amazing to see everyone again!